&QUOT;BAILEY'S MARVEL&QUOT; IS FIRM, FIBERLESS, AND TANGY YET SWEET. 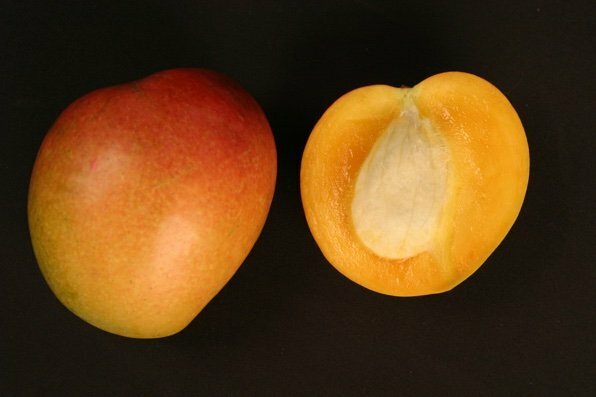 FRUITS ARE TYPICALLY 1.5-2 POUNDS WITH A SHOWY PEACH BLUSH OVER A FRECKLED YELLOW BASE. THE TREE IS A HANDSOME VIGOROUS GROWER HAVING A ROUNDED SYMMETRICAL CANOPY AND DENSE FOLIAGE. JUVENILE TREES ARE VERY SENSITIVE DISEASE AND CAN BE DIFFICULT TO GROW. THE FRUIT RIPENS FROM MID-JULY TO MID-AUGUST.